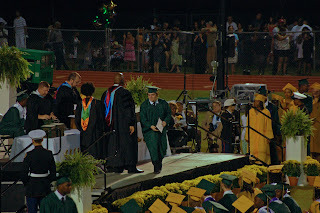 May 2011 has been a whirlwind of events! Ian being a Senior has brought a whole new meaning 'the end of the school year.' 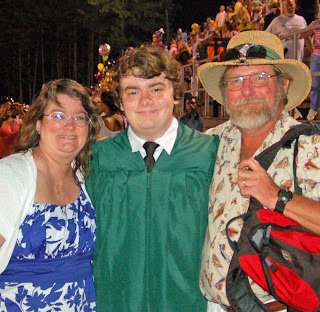 His last HS band concert, parties to plan and attend, school & church events and finally the big event...graduation. Here's some memories we want to preserve. Last LSHS Band Concert. During a Copeland piece, Ian had the priviledge of a solo. A proud moment for us. Here's Ian with his band director, Mr. McConnell, and his 'brother & sister' Nate and Ashley. Band has been a BIG part of our lives for the last 4+ years. Its going to be strange next year not going to every Friday night football game. 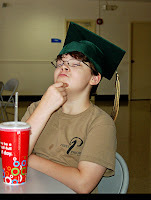 (We have a 1 yr gap before Cole will be in the HS band.) We're going to miss folks, but still plan to do some photography & attend some of the games. 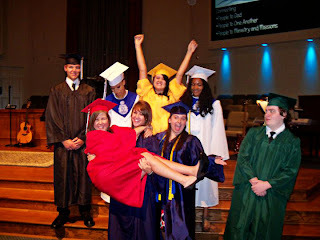 The parents of the FBCLS seniors had a fabulous idea this year. Instead of the traditional 'Senior Breakfast', we opted to have a combined Grad party for the Youth who were fixing to graduate. 6 families joined forces and had a wonderful drop-in reception for our kids. Lots of family & friends came, and we all had a delightful time together. The parents of next year's seniors are already planning to do this for their kids...a new tradition is born! Youth Pastor Danny offering some words of wisdom & encouragement. Van, Jonah, Luke & Ian. Cole thinking about his future? Ian with Pastor Kevin....they both LOVE mountain dew! Each grad had a personal table to decorate with their own pictures & momentos. Ian had his trumpet & bass, as well as LOTS of pictures. Everything was great! We're so blessed by our church family! 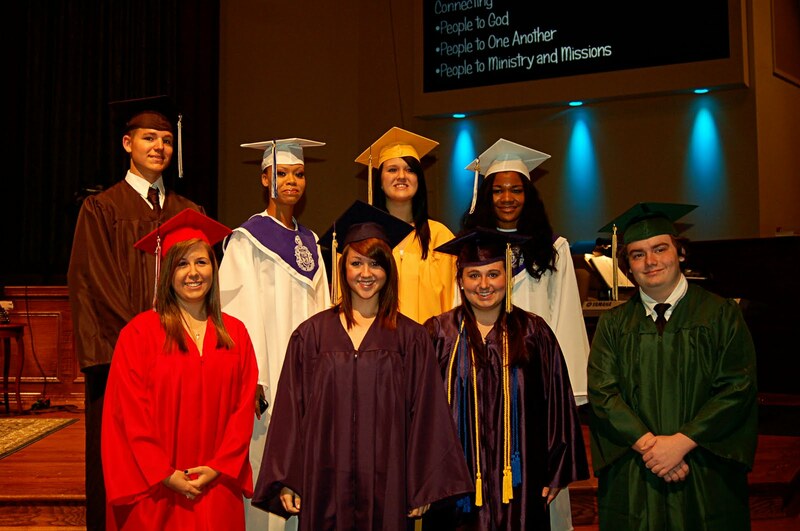 Graduate Sunday at FBCLS is a special day. 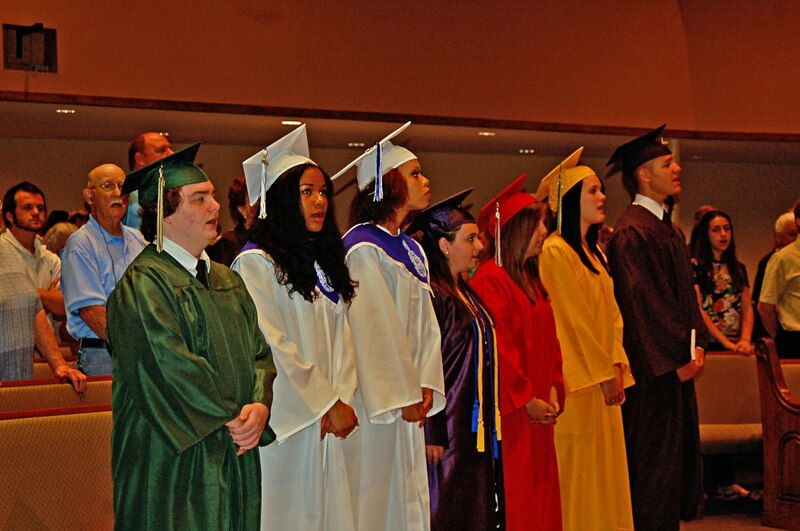 Each grad is honored with a moment in front of their church family. Youth Pastor Danny did a fabulous job on this! He recorded each grad's voice stating their name, and future intentions, which was played while the grad walked up the ailse, and a series of their pictures was presented on the big screens. So sweet to see baby pictures, youth event pictures and special event pictures of each grad's life. Then Danny offered a special blessing, and the church promised to continue to pray for and encourage these grads - just as they promised when the grad was a baby being dedicated in front of these same folks. Top row:Brandon, Taylor, Rachel, Nia. Bottom Row: Alyssa, Katie, Valerie, Ian. 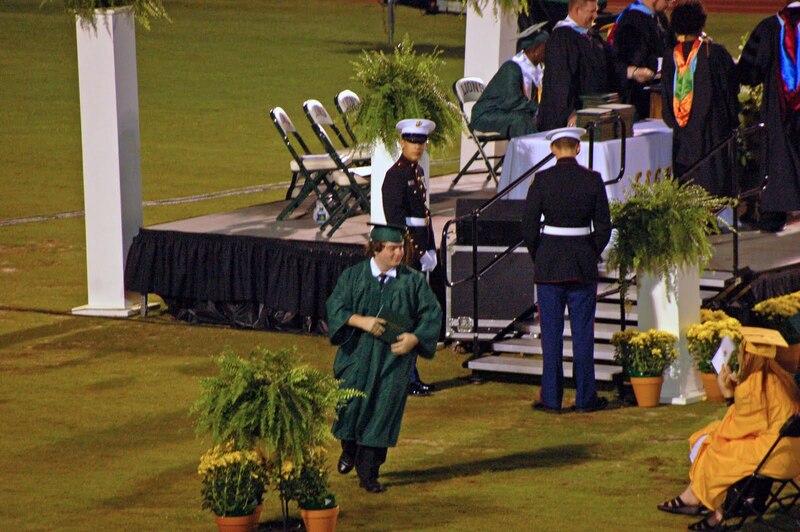 This was the first moment I saw Ian in his cap & gown ~ and I melted into a puddle of tears. 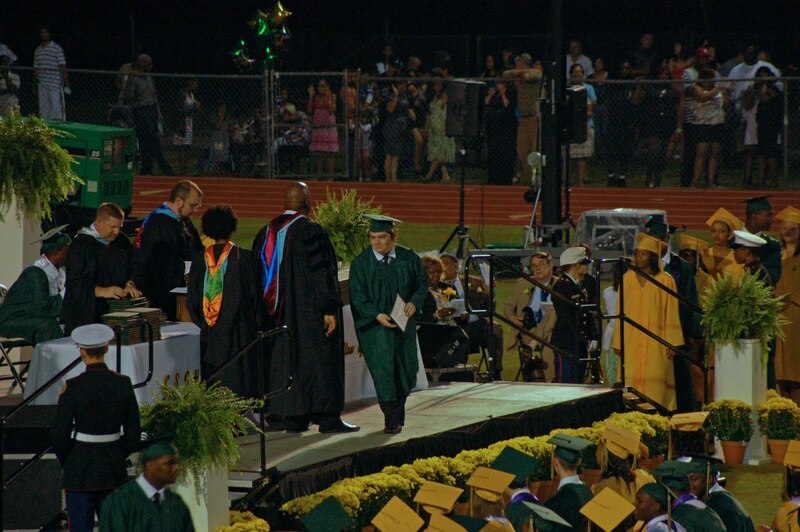 I was completely overwhelmed by it all - love, pride,... and a little sadness to see his childhood come to an end. This caught me totally by surprise...but now I know why parents cry at weddings & graduations. Finally, May 27th arrived...Graduation Day! We were so blessed to have beautiful weather. (The night before had terrible storms!) The entire stadium was filled to the brim with happy, smiling, elated families ~ so proud of their grad. 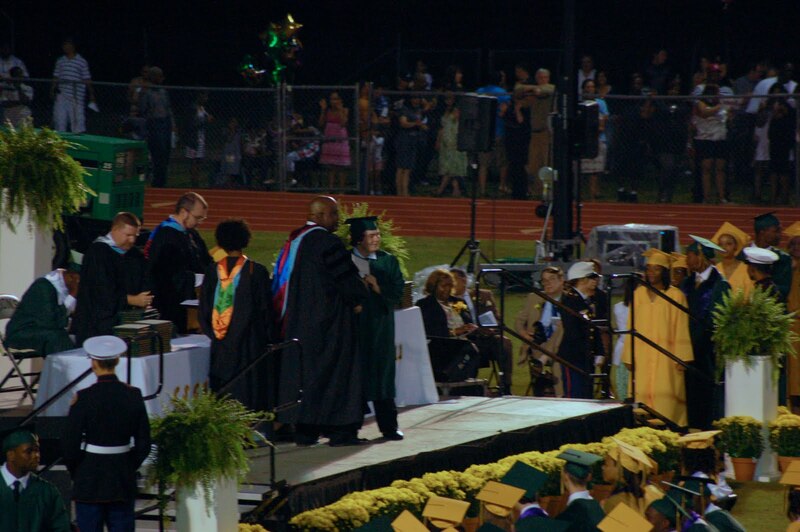 When Ian's name was called & he walked across that stage we all WAHOO'd!!! & rejoiced at the top of our lungs for him. 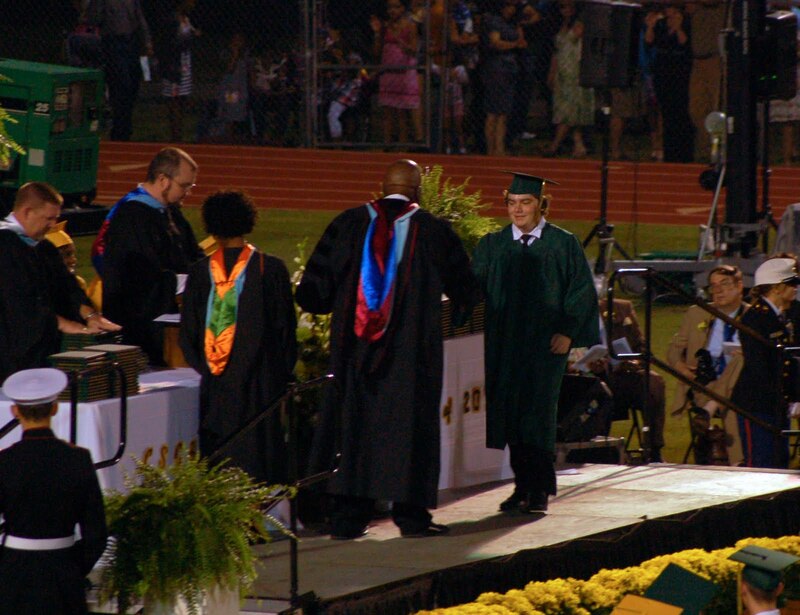 It was an awesome night filled with happiness and pride. Wahoo - I got it! Now let's get out of here!! Congratulations, Ian. You are an awesome young man with your whole future ahead of you. May it be filled with love, laughter, joy, enthusiasm and a passion for your work. One day we want to look at a book with your name on the cover - author, Ian McMichen. You truly are a gift from God, and may He bless you throughout your days ahead.